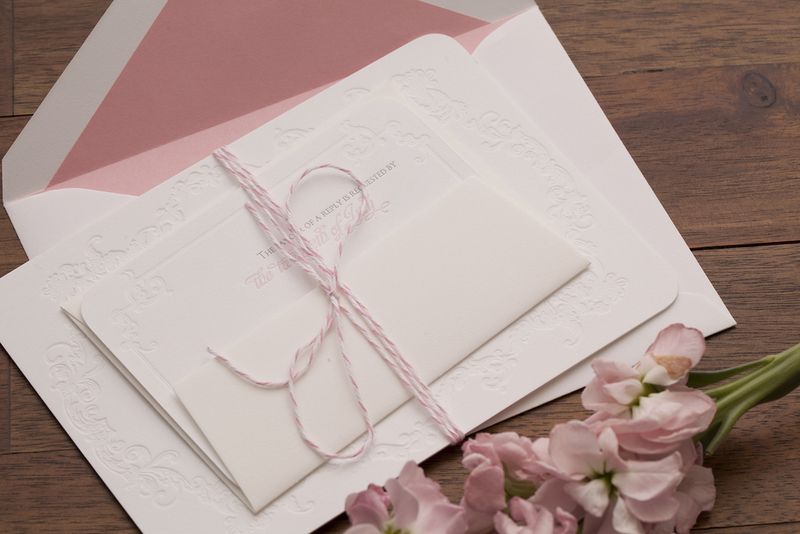 "There’s something just inherently romantic about a pink and dove gray wedding invitation, and these classic letterpress invitations from Fabienne are no exception. Fabienne was inspired by the bride’s love of tea parties and feminine things, incorporating a subtle floral pattern and script font to complement the traditional invitation wording." Laura was like a sister to me growing up: we’ve known each other since before I could tie my shoes. 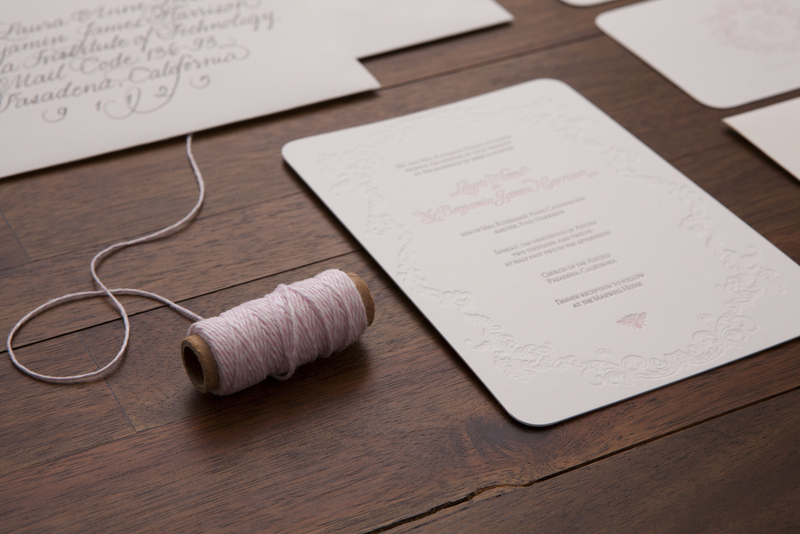 When I discovered she was getting married, I was so excited to help create her wedding invitations. Laura and Ben asked me to create a traditional invitation that included a honey bee – which was symbolic of a memory they shared together in England. Laura and I share an attraction to feminine-looking objects. We enjoyed each others company as children, setting up for tea parties with our dolls in one hand and our cucumber sandwiches in the other. Her taste hasn’t really changed from her youth and I knew right away what kind of invitation she was looking for. Laura felt it was important that we keep some traditional elements. 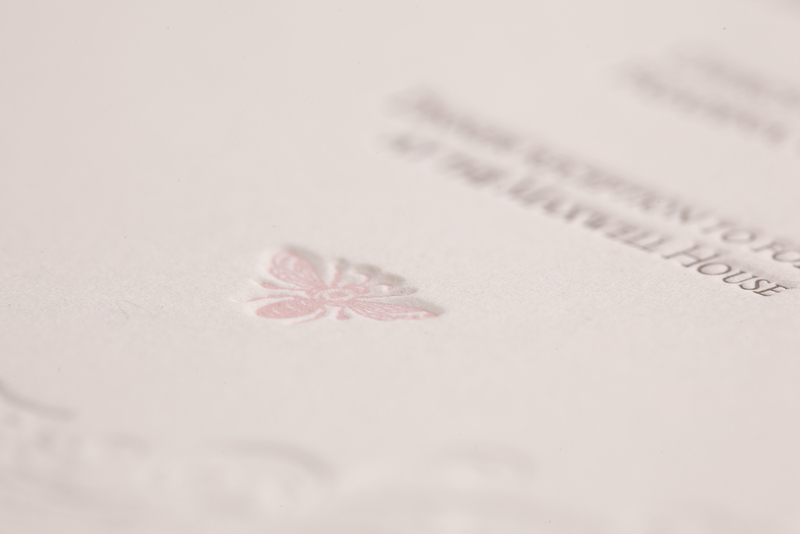 It was necessary that we use the proper wording and the traditional inner/outer envelope concept. She also requested that I design two monograms – one for before and one for after the wedding. 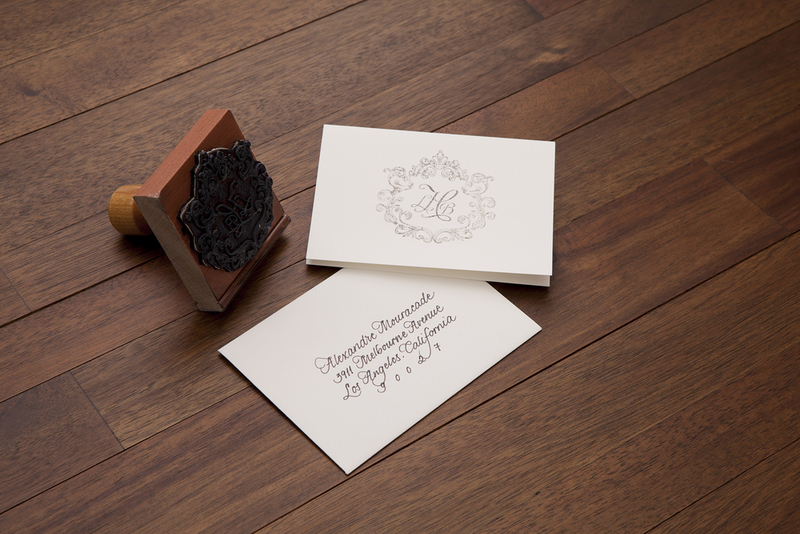 The monogram for pre-marriage was used on the reverse side of the RSVP card and the monogram for post-marriage was made into a stamp to be used for Thank You cards.